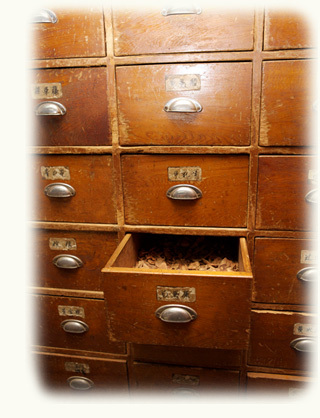 Chinese Herbology (中药学 or 中药) includes the basic theory of Chinese materia medica and traditional Chinese patent medicines as well as its preparations’ source, collection, performance, efficacy, and clinical applicatiions. Chinese herbal medicine works through the physiological action of the herbs, and pays special attention to the powers unleashed through combinations of herbs. For example, a Chinese herbalist will choose an herb for a specific effect and complement it with another herb that will increase that beneficial effect. However, sometimes along with the positive effects an herb may possess qualities that are not suitable for an individual because of his or her unique constitution. Then the herbalist must know what other herbs to add to the mixture to eliminate that undesired action. An herb formula is built to suit the individual diagnoses of each person — there is never one pat prescription for everyone who has the same symptoms. A compound of three or four or more herbs may be designed to address the person’s particular needs. In Chinese medicine, we do not usually treat specific symptoms with Chinese herbs; instead we treat the symptom complex known as the syndrome. Every individual is different, so even when we use a general herbal combination we can add herbs to individualize the formula. Chinese herbalists know that there are specific rules for herb combining — some herbs have potentiated effects when combined with certain other herbs. Some herbs are traditionally contraindicated for use in the same formula with other herbs because of negative or toxic effects. Combining Chinese herbs is an art. Two or more herbs may be combined to form an herbal prescription. Some contain only one herb and often we find up to twelve or fifteen herbs in a formula, depending on the condition of the person and the actions of the herbs needed. Medicinal substances are combined in order to enhance the effectiveness of individual herbs within the formulas, to minimize unwanted effects, or to deal with complex situations, and to alter the actions of the substances. There are many ways to ingest or use Chinese herbal formulas. Formulas may be taken in bulk tea that has been cooked, in liquid extract form in hot water, in powder extract form in pills or hot water, in pills, or even used topically in teas, plasters, liniments as well as many other forms. In my clinic I use many traditional formulas that have been made into herb pills, often called patent formulas. Various Chinese herb companies produce pills as well as extracts and powders of traditional Chinese formulas. Some companies also produce modern Chinese herbal formulas as well as variations of Chinese traditional formulas for a more Western constitution. Close supervision is necessary when any type of medication is ingested. This includes Chinese herbal formulas. A person receiving Chinese herbs should be under the care of a competent licensed practitioner who can differentiate any possible side effects of herbs from organic conditions. Receiving herbs from unlicensed or untrained personnel, such as in health food stores, is not good practice. Side effects are possible with herbal formulas. The most common problem is that persons may have some digestive difficulties immediately upon beginning herbal intake that can last for a few days. This can include diarrhea and/or constipation. This is usually due to the sudden addition of increased fiber in the diet, particularly for those unused to much fiber. If this lasts more than a few days or is severe, several measures are taken to ameliorate the effects. Side effects can generally be controlled through varying the time of ingestion or through altering the dosage. Sometimes we need to change the formulas or give a digestive formula in conjunction.